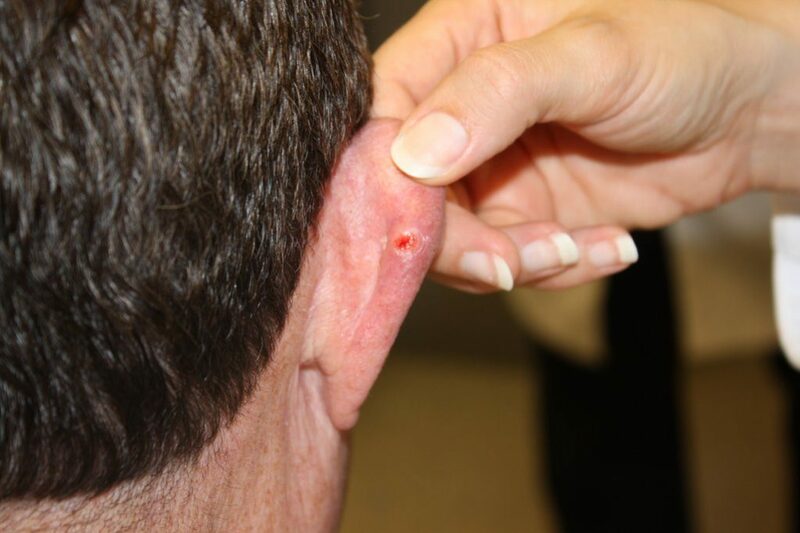 Approach the examination in a systematic way, starting from the outer parts of the ear before moving to the inner parts of the ear; be prepared to be instructed to move on quickly to certain sections by any examiner. Hold the otoscope like a pen between thumb and index finger, left hand for left ear and right hand for right ear, resting your little finger on the patient’s cheek – this acts as a pivot. 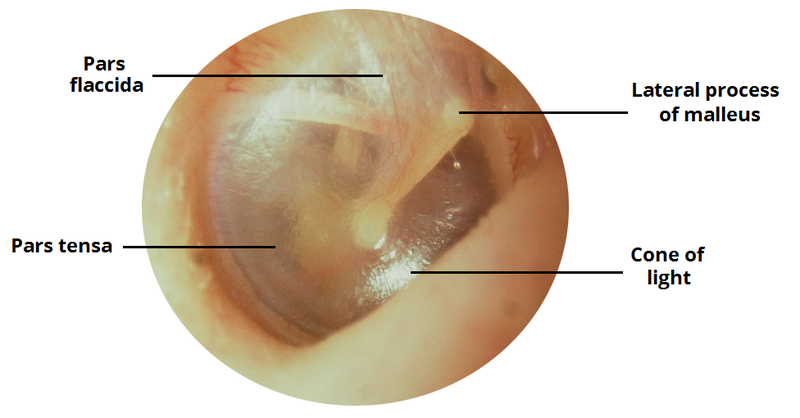 *The cone of light can be used to orientate; it is located in the 5 o’clock position when viewing a normal right tympanic membrane and in the 7 o’clock position for a normal left tympanic membrane.